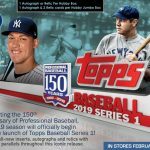 Blog Homepage \ Baseball \ Product Preview: 2019 Topps Inception Baseball releasing in March! The 2018 baseball season may be winding down as we are now down to only four teams left to be crowned 2018 World Series Champion but the weather outside our Buffalo, NY offices has been Summer like the last few days (low 80-s and breaking records) so let’s talk some 2019 baseball – more specifically 2019 Topps Inception Baseball! 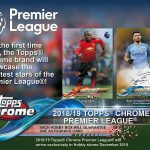 Topps has sent along pre-order information and details on one of our favorite baseball releases of the early season, so let’s take a look at this March releasing product! 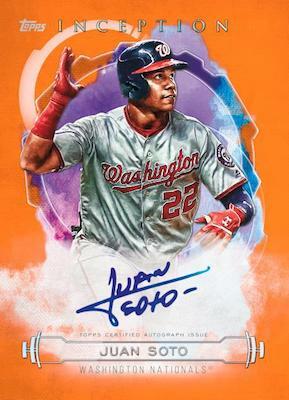 2019 Topps Inception Baseball returns with a similar approach and format as past releases. 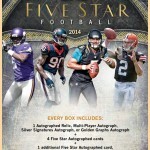 Each box contains seven cards with one being an autograph or autograph relic card. 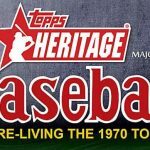 Cases can expect in total four autograph relics, one autograph jumbo patch and one of the very cool Silver Signings cards. The 100-card base set is comprised of the top future talent in MLB. The players can also be found in several parallels, including Green, Purple (#/150), Magenta (#/99), Red (#/75), Orange (#/50), Blue (#/25), Inception (1 of 1), and Printing Plates (1 of 1). Parallels combine to average two per box. Inception also boasts many hard signed signatures. 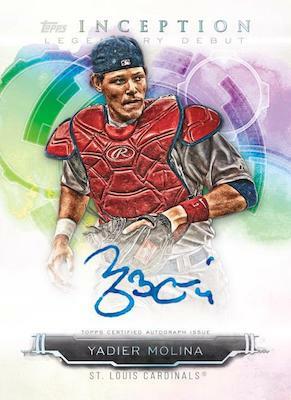 The numbered Base Rookies & Emerging Stars Autographs subset uses the base design as the canvas for hard-signed signatures. Parallels include Magenta (#/99), Red (#/75), Orange (#/50), Blue (#/25) and Inception (1 of 1). Focusing on the league standouts, the SP Inceptions Autographs lineup is limited to just a scarce 10 copies for each player! 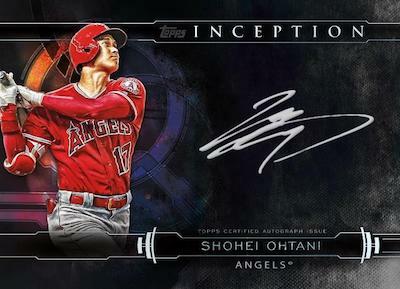 More stars enter the mix in Inception Legendary Debut Autographs (#/20). These hard-signed cards showcase veteran players during their MLB debuts. There are also Orange (#/10), Blue (#/5) and Inception (1 of 1) parallels. As mentioned above, the case-hit Inceptions Silver Signings cards use a black scheme and silver ink to create a really cool card and a collector favorite for sure! These come as Gold (#/25) and Gold Inscription (1 of 1) versions, as well. Giving even more attention to the future stars of the diamond are the numbered autograph relic inserts. 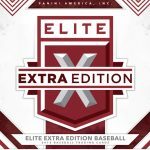 Averaging 1:4 boxes, the Inception Autograph Patch cards offer top 2018 rookies and other young stars, while the one-per-case Inception Autograph Jumbo Patch cards look to the 2019 rookies and additional notable players. The standard patch set has numbered Magenta, Red (#/25), Orange (#/10), Blue Button (#/6) and Inception Majestic Logo (1 of 1) parallels, and the jumbo edition adds Orange (#/10), Blue (#/5) and Inception (1 of 1) parallels. Another new feature is the Inception Autograph Jumbo Hat Patch cards that display player-worn MLB Batter Logo (#/5), New Era Logo (#/5), or Team Logo (#/5) patches. These should look amazing and certainly garner some after-market attention. Finishing off the hits, are booklet cards. These include hard-signed Inception Autographed Team Logo Patch Book (#/2), Inception Autographed Letter Book (#/2), Inception Autographed Laundry Tag Book (1 of 1), and Inception Autograph MLB Batter Logo Patch Book (1 of 1) cards. 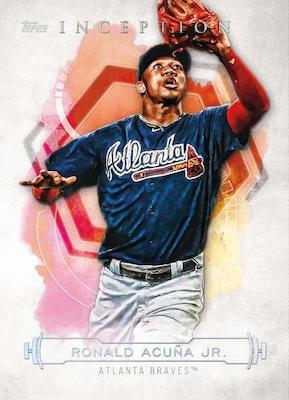 2019 Topps Inception Baseball is set to make a splash among the early Spring Training releases next year. Lock in your presell price today – boxes (7 cards per box) and cases (16 boxes per case) are now up for order on our website! Inception Baseball is scheduled to make its first pitch for 2019 on Wednesday, March 20th.